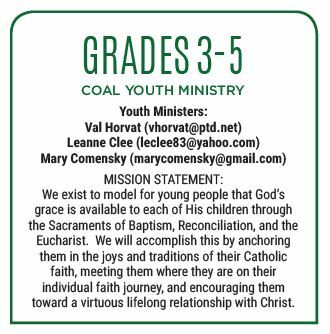 The 3-5 COAL Youth Ministry program is open to all children in grades 3 through 5. Stay informed! Text Alerts are a great way to get COAL Youth Ministry Reminders and updates ASAP. In the phone number section of your text message app, type 81010. In the message section type “@coal35.” You only need to do this once to ensure you receive up-to-date information on all things Youth Ministry! Join us for the Mass of the Lord’s Supper at 7:00 pm in the church. Following a visit to our own repository, we will board a school bus and travel to six churches. We will return back to St. Joseph’s Church by approximately 11:00 pm. If you are not able to make the Mass of the Lord’s Supper, we will be leaving SJPV at approximately 8:30 pm. This opportunity is open to the entire parish! 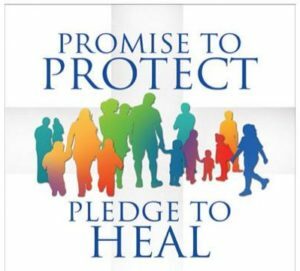 To sign up for this pilgrimage, please email lisasjpv@gmail.com or call 570-645-2664. 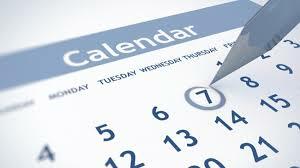 Click here to visit the Facebook event page.